Zac Efron plays Ted Bundy in new film, "Extremely Wicked, Shockingly Evil and Vile." 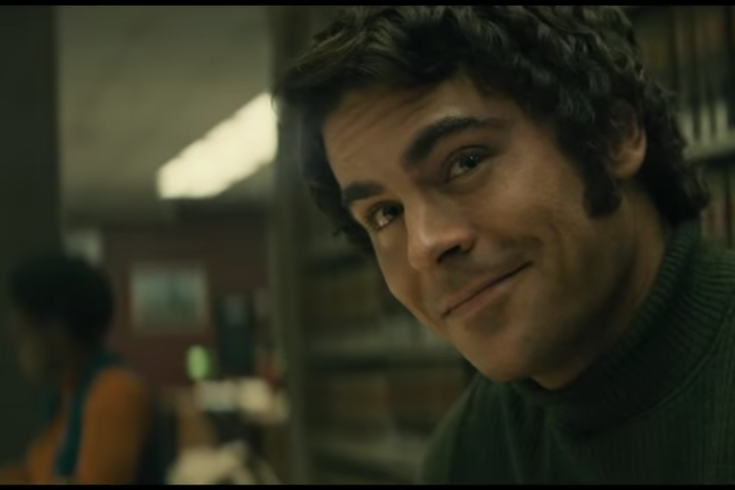 In case you haven’t heard, "Extremely Wicked, Shockingly Evil and Vile," Zac Efron’s Ted Bundy movie, has a brand new trailer. The original trailer may have been criticized for glorifying Bundy’s charm, but the newest trailer definitely shows a different tone with Efron’s chilling performance as the killer. The film follows the perspective of Bundy’s longtime girlfriend, Elizabeth Kloepfer, played by Lily Collins. “For years I’ve carried this guilt that I’m to blame for everything. If only I hadn’t trusted you,” Kloepfer voices over shots of what was once happy memories of the two of them. Highlighting Bundy's high-profile seduction to viewers of that time, a girl says to a news reporter, “I get scared, but he’s also really dreamy." But not even his charm could counteract the heinous crimes the serial killer was found guilty for and Efron’s portrayal of the serial killer is not just gripping but emotionally profound as he jumps from intense charm to a deep darkness in his eyes that’s met with pure hatred.